Walt Disney Imagineering is giving us a look at testing of the upcoming Disney Skyliner transportation system in a new video they released. Having trouble viewing the video? Click here to watch on YouTube. 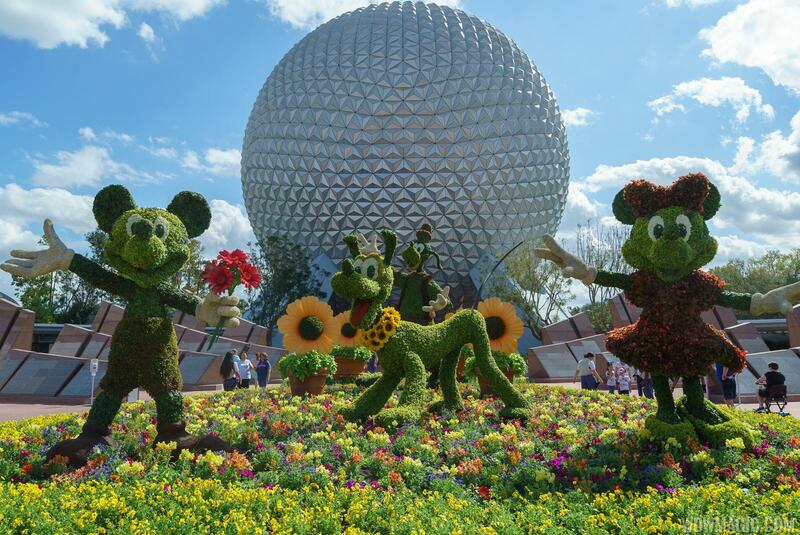 The 2019 Epcot International Flower and Garden Festival is just over a month away, taking place at Walt Disney World from March 6 to June 3, 2019. Disney has released a few more details on what's new for 2019. The popular Garden Rocks Concert Series will expand to every day of the festival, featuring chart-topping artists performing three shows daily on the America Gardens Theatre stage. That’s 270 concerts – more than ever before – featuring new and returning fan favorites spanning multiple genres. Returning favorites like The Spinners and Herman’s Hermits starring Peter Noone will be joined by artists new to the festival like TobyMac, Steven Curtis Chapman and Colin Hay of Men at Work. View the full Garden Rocks line-up. Creative new culinary dishes and several new outdoor kitchens will debut this year. AdventHealth will host a kitchen along with a nearby playground where the whole family can learn fun and interactive ways to stay healthy. Woody and Buzz Lightyear will welcome Bo Peep and her sheep to their Toy Story topiary near the Family Play Zone in Future World East. Spike’s Pollen-Nation Exploration family scavenger hunt will be more fun than ever this year with new locations to discover along the garden pollination trail. Guests can also commemorate their scavenger hunt experience with select merchandise offerings featuring everyone’s favorite bee, Spike. Another guest favorite returning to the festival April 5-21 (while supplies last) is the Eggstravaganza Scavenger Hunt, where guests can search for Disney character-themed eggs around World Showcase. In addition to the Outdoor Kitchens, raised-bed or in-ground gardens of herbs and produce will offer the perfect inspiration for learning to grow healthy ingredients. Several Epcot food-and-beverage locations – including Taste Track and Refreshment Port– will offer festival-themed eats and libations. The performer line-up is now nearly complete, so here is an updated list of the acts you'll find at the festival this year. Garden Rocks concert performances take place at 5:30 p.m., 6:45 p.m., and 8:00 p.m. each night of the festival and are included in regular park admission. Guaranteed concert seating can is available by reserving a Garden Rocks Dining Package at select Epcot restaurants. Breakfast during Disney Early Morning Magic will soon be relocating at Disney's Hollywood Studios. Currently held at the ABC Commissary, the breakfast will move to Backlot Express from February 6, 2019. 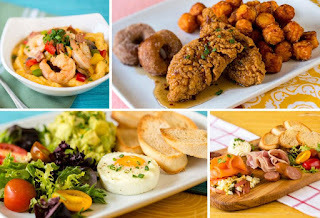 Similar to the experience that was added to the Magic Kingdom in 2016 for access to the busy Fantasyland, the Studios edition is based around Toy Story Land and includes a breakfast. The buffet also features yogurt, cereal, fruit, assorted pastries. For the little toys, they can enjoy everything on the buffet as well as a kid’s portion of the Fried Chicken and Cinnamon Sugar French Donut or Scrambled Eggs, and both come with Sweet Potato barrels. Available on select mornings before the park opens, Disney Early Morning Magic offers exclusive, limited-time access to Toy Story Land, including Slinky Dog Dash, Alien Swirling Saucers, Toy Story Mania!, plus character greetings with Woody, Jessie and Buzz Lightyear. Disney Early Morning Magic takes place on select Mondays and Wednesdays from 7:30am to 8:45am. Breakfast is available until 10am. The experience costs $79 plus tax for adult (age 10+) and $69 plus tax for children ages 3-9, and valid theme park admission is required. Beaches and Cream Soda Shop at Disney's Beach Club Resort will be closing for a refurbishment later this year to make improvements to the layout. The closure is planned for the earlyAugust 2019, with a reopening set for December 2019. During that time, there will be a temporary location at the Yacht and Beach Club Resort offering ice cream, but not the Kitchen Sink. The to-go window at Beaches and Cream will also be closed during the refurbishment. And fans of the Kitchen Sink, don't worry. When Beach and Cream reopens at the end of 2019, it will continue to offer the super-sized dessert along with other fan favorites. To make additional space for Beaches and Cream, the adjacent arcade will be closing.